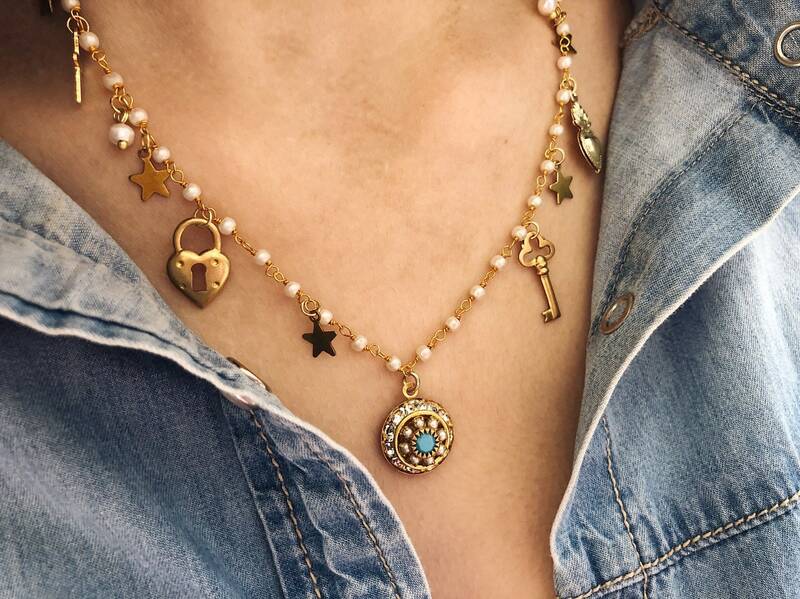 Capsule collection made with rosary chain and authentic vintage charm. 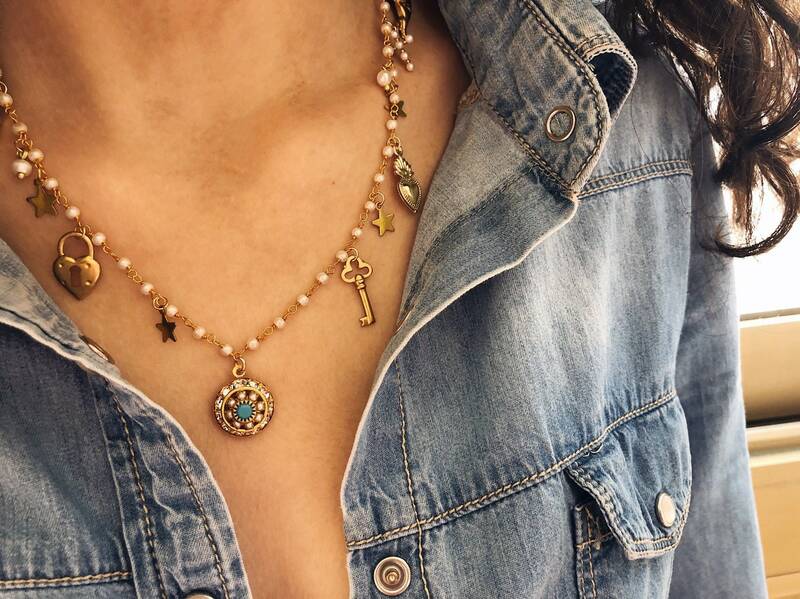 A collection that replaces ancient treasures, but that also gives a nod to the fashions of the moment. 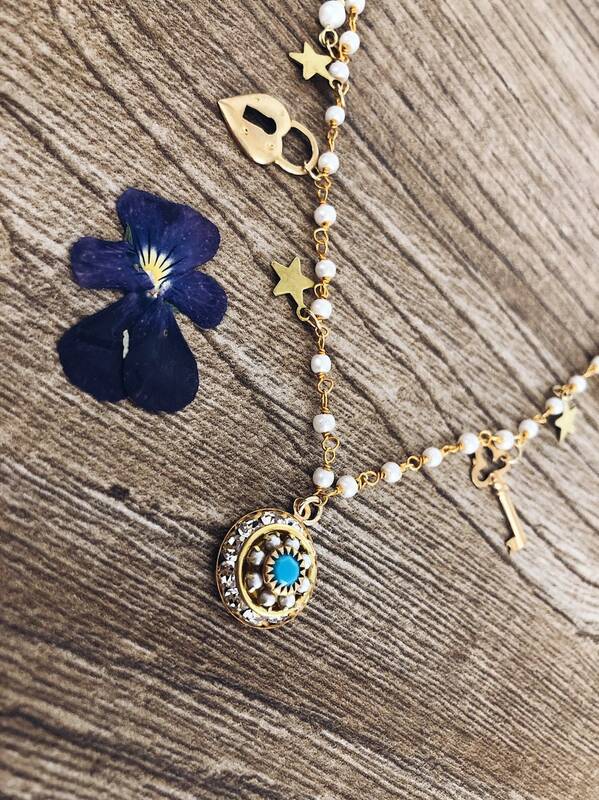 All unique pieces, little treasures to show off. 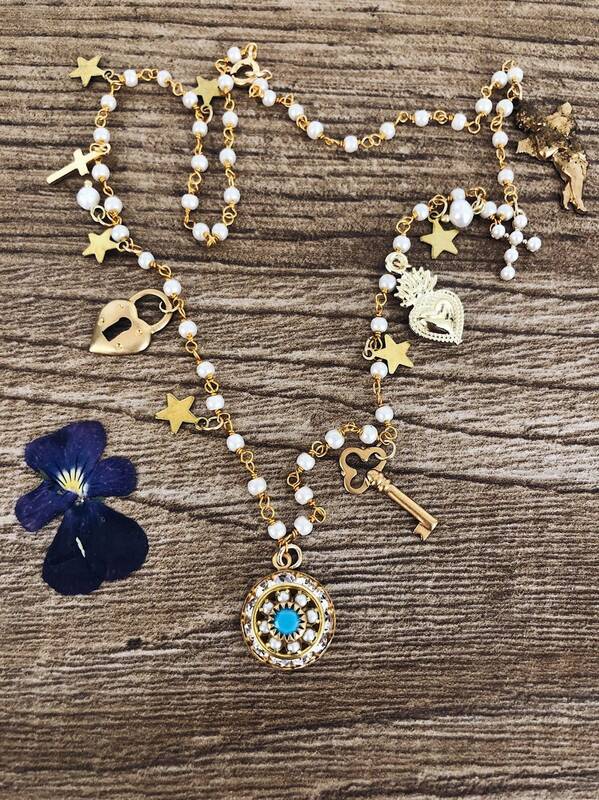 The necklace for sale is made with white rosary chain, central pendant with Swarovski and small brass pendants. 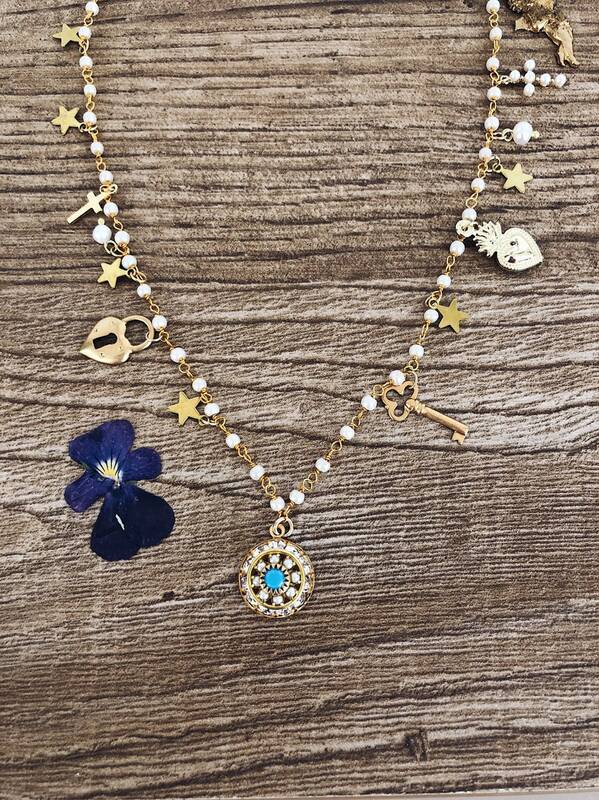 The necklace is about 50 cm long, all the hooks and closures are in gold-plated 925 silver. Possible imperfections of the vintage components are to be considered signs of aging.